A man has been arrested in relation to a 1993 murder at The Pet and Garden Centre on Wellingborough Road. Photo shows the premises guarded by a policeman in 1993. The man accused of murdering ‘bird man’ Arthur Brumhill at his pet store in Northampton in 1993 has appeared at Leicester Crown Court this morning for a further hearing. Stuart Jenkins, 39, of Ossett in West Yorkshire, appeared at Leicester Crown Court this morning for a preliminary hearing in front of district judge Nick Dean QC. 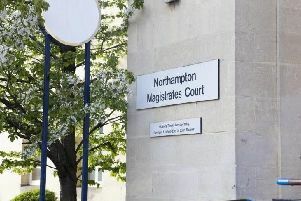 Judge Dean QC adjourned the case for a plea and case management hearing on August 17, which would ‘most likely’ be at Northampton Crown Court, he said.